Stock photo of a Victorian style house/shop near Kensington Market in downtown Toronto, Ontario, Canada. This stock photo depicts a bright yellow Victorian style house/shop with dark blue trim near Kensington Market in downtown Toronto. 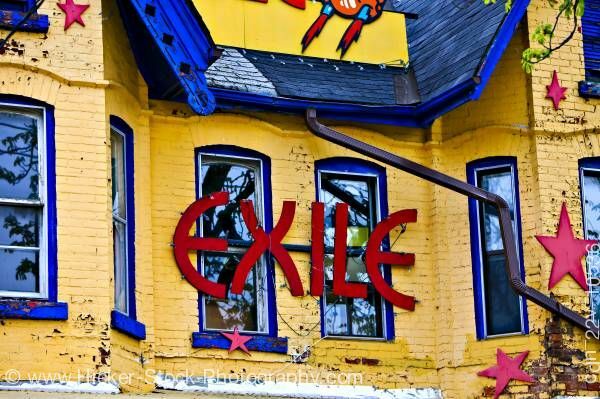 Deep red lettering spells out the word EXILE across two center windows. Lighter red stars in differing sizes have been painted in numerous places on the outside of the building. Additional artistic decorations in red, green, and orange can be seen along the top of this edifice.